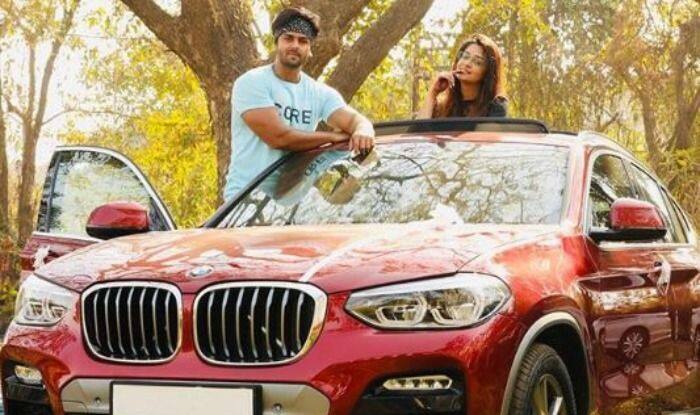 Bigg Boss 12 winner Dipika Kakar and her husband Shoaib Ibrahim who celebrated their one year anniversary a few days ago gifted themselves a BMW X4. Shoaib shared the picture of the car on Instagram where he posed with his wife. Shoaib took to his Instagram handle to share a picture of their brand new luxury car and captioned it, “Work hard with a clean heart and your dreams do take the face of reality!!! Here we introduce you all to the new member of our family!!! our first luxury car The BMW X4!!!! Our First Anniversary Gift To Ourselves!!!”. The couple celebrated their one year anniversary a few days ago and for the occasion, they twinned in white. Yesssss its been a year of the most precious day of my life… of being Mrs Dipika Kakar Ibrahim…. and my world has bloomed with love ever since❤❤❤ !!! Be Ready Guys The Celebration beginssssss!!!!! Dipika had started dating Shoaib, who was her co-star on TV serial Sasural Simar Ka, in 2013 and the two had tied the knot on February 2018. Dipika had converted to Islam and taken the name Faiza. On the professional front, Dipika, who has appeared in a number of serials, made her Bollywood debut with the film Paltan last year. Written, directed and produced by JP Dutta, the film was based on the 1967 Nathu La and Cho La clashes along the Sikkim border after 1962 Sino-Indian War. Shoaib too has made his entry into the film industry with Battalion 609, which was written and directed by Brijesh Batuknath Tripathi.